I can’t tell you how honored I am to have Brandon Shire join me here! 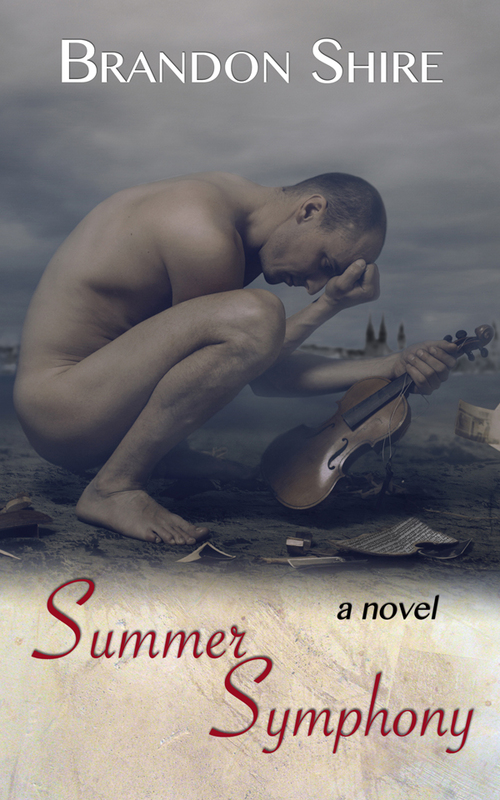 He’s a supremely talented writer and his new release, Summer Symphony, is truly a beautiful novel. For those of you who have enjoyed the Blue Notes Series and love music as much as I do, I highly recommend this story of love, loss, and self-discovery amidst the ruins. Bittersweet and moving, there is no easy ending here, but it’s well worth the tears. What is the most devastating thing you could envision as a parent? It’s not a quick jump to realize that most parents would consider the loss of a child to be foremost among their greatest fears. If the child has yet to be born, what then? And what if you are the father and your worst fear comes true? How do you grieve after holding that small precious bundle in your hands? We don’t often consider men when it comes to grieving for a child lost to miscarriage or stillbirth. In fact, male grief is dismissed (almost uniformly) throughout the world in these situations. The physical bond between mother and child can’t be denied. But you would think that in this day and age, we would have dispensed with the antiquated notions of how grief reflects on masculinity. Unfortunately, that’s not the case. Male grief is to be hidden, closeted. Google “music and grief” and you will quickly learn that music therapy models have been found to be the most successful in treating grief and bereavement. But what happens when music is already the focus of your life? What happens when you can’t turn to the one thing that might help lift you from despair? These are the topics I explored when I started writing Summer Symphony. Frankly, it shocked me to find such a dearth of information and support for grieving fathers. It was as if they didn’t matter. As a parent, I found this utterly absurd. My first question was: How can you support your spouse if you can’t grieve yourself? You can’t. That’s the answer. You can’t. I won’t tell you this novel has an HEA, it doesn’t. It’s a tearjerker about music, love, romance, grief, and how a father finally learns to cope. Very special thanks go to Shira for allowing me to pick her brain. Without her knowledge of music, I couldn’t have written this book. Thanks, Shira! Connect with Brandon at BrandonShire.com or on Goodreads. This books sounds wonderful. And it’s set in my beloved Croatia! Hi Shira, Hi Brandon. Thank you for this post. I loved the Blue Notes series and I have read 4 of Mr Shire’s books so Im quite eager to read this. Music is so very important in my life, it is the way I allow myself to feel emotions.